I must admit that when I first got the book Nourishing Traditions, Beet Kvass was one of the recipes that I glazed over and didn’t plan on making. 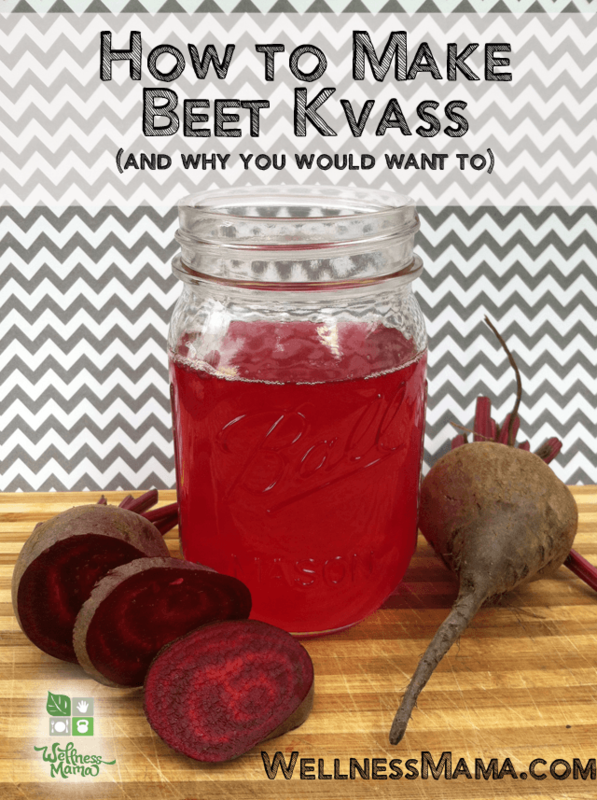 I wasn’t a huge fan of beets and I didn’t even know what kvass was, so I steered clear. My kids love Kvass because of the color and it makes a beautiful addition to salad dressings, sauces or soups because of its bright hue. I’ve found it easiest to make Kvass with whey (here is how to make whey at home– not the same as protein powder!) or the juice from sauerkraut, but it can be made with just sea salt, though it may take a little longer. Chop beet in to small cubes but don't grate.